Along one of the few remaining undeveloped stretches of O‘ahu shoreline, cadences of an ancient chant reverberated one morning at sunrise. Several dozen Hawaiians gathered at One‘ula Beach Park March 4 and again on April 4 for what organizers described as a celebration of shrines at One‘ula. But the gathering was also a memorial service for those that were recently bulldozed. Participants immersed themselves in the ocean in a hi‘u wai, a purification ceremony, and then chanted to the rising sun. After a short break, they gathered for a ceremonial procession to present ho‘okupu, offerings, at coral structures they regard as ahu, or shrines, in a nearby kiawe forest. Preservationists gathered again at the site on Memorial Day for a rally at sunset. Not far from the shrines, dozens of fishing poles sprout each weekend from the coral ledge, where at low tide, people gather he‘e, octopus, or special varieties of limu for which the area is famous. A reef submerged a few feet below the water stretches out 50 yards in spots. Farther out, a second reef keeps large swells at bay and helps create ideal surf breaks. Along the shore, growing out of an exposed ancient reef, are strands of hau, kou, milo and naio. At one spot a few yards inland from the ocean is an ancient puna wai — a spring, its sides lined with bricks placed there earlier in the century. It offers testimony to generations of fishermen and gatherers stretching back to antiquity. A quarter-mile inland, however, bulldozers push each day into the fringe of kiawe forest between the shore and abandoned cane fields, destroying the shrines, pushing the rocks aside and leveling the land. Haseko, a large Japan-owned multinational development firm, plans to transform this quiet spot into a place strikingly similar to Hawai‘i Kai, complete with a marina dredged a quarter-mile inland, fringed by a golf course and upscale homes. Grading permits are in place, allowing the bulldozing that topples the once-revered coral structures. Still to be resolved is a court case over a permit that would allow Haseko to dredge through the reef, into caprock that protects the ‘Ewa fresh water aquifer. Recently, the state Supreme Court halted the permitting process over a technicality — Hawaiian gathering rights — but Haseko is reapplying for the permit. And the leveling continues. The ‘Ewa Development Plan Report acknowledges this area’s rich concentration of Hawaiian sites by identifying the Haseko Marina project area as the “One‘ula Archaeological District.” Fifty-three sites, containing 334 identified features, cover the project area. But the report does not comment on the sites there, or explain the transition from archaeological district to Marina. Haseko ended the moratorium on bulldozing during the week of May 11-15. Most of these structures are now gone, although some Hawaiians continued to visit and honor the handful of stones that remain, just yards from the vast areas now stripped of vegetation and of any evidence that ancient Hawaiians lived there. “Among those sites were shrines of tremendous cultural value to all Hawaiians,” commented Rev. Kaleo Patterson, director of the Hawai‘i Ecumenical Coalition. Differences between archaeologists and native Hawaiians have given rise to the controversy, causing some to recall Kukuiokåne Heiau, and numerous sites in Hålawa Valley, all destroyed by the H-3 freeway. Having gone through a lengthy process of soliciting community input and holding numerous hearings, however, Haseko expresses alarm at the work stoppage. Patterson wants the planning process opened up to the Hawaiian community. In this case, he wants the Marina halted if there is a conflict between saving the shrines and dredging for the marina. 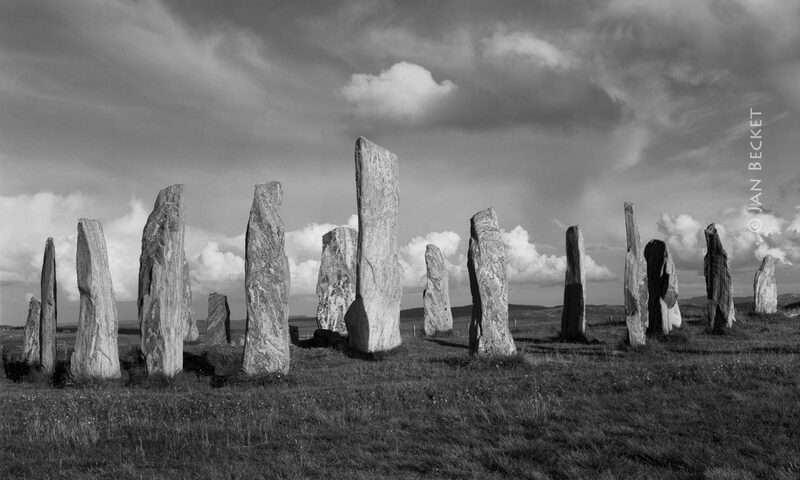 At the center of the controversy were a half dozen stones, each two to six feet tall, and until recently, each still standing centuries after it was placed. Each appears to have been selected with some care, perhaps for an unusual shape. These uprights often stand on or near a small area paved with ‘ili‘ili (small coral stones). Because no lava stones are available in the region, these stones, the small platforms or paving next to them and all the other stones in the complex are made of coral, the same coral that stretches inland for up to five miles on the ‘Ewa plain, which was under 25 feet of water 130,000 years ago. The fact that the sites are made of coral adds to their value: The Kumolipo, the Hawaiian creation chant, identifies coral as the first form of life. In fact, no extensive emerged seabeds exist on any of the other Hawaiian islands; on O‘ahu itself, vast complexes of Hawaiian coral sites have already been destroyed in recent times by the construction of the Barbers Point Deep Draft Harbor, Ko‘olina Resort and Campbell Industrial Park. Scattered complexes remain on Barber’s Point itself, but none lie along the seashore as they do at One‘ula, and few of them incorporate upright coral stones. The sites at One‘ula, with their numerous standing stones, were among the very last Hawaiian coral seashore structures left anywhere, on any island. This particular place may have even more significance: The name “One‘ula,” which can mean “red sand” in a literal translation, also means “sacred sands” because of the association of the color red with the chiefs and the gods in traditional Hawaiian culture. The archaeological report prepared for Haseko by Paul Rosendahl and Associates asserts that this was merely a temporary habitation site, and suggests that Hawaiians using the area must have come to the seashore only at certain seasons, and then returned to permanent homes in the Ko‘olau mountains. Kelly disagrees, pointing to the extensive complex of sites, the availability of water and the abundant marine resources nearby as evidence of permanent habitation. She also points out that by dismissing the sites as “temporary habitations,” the archaeologist’s report minimizes their significance and thus aids their ultimate destruction. A strongly-worded letter sent in late February to the State Office of Historic Preservation resulted in a temporary agreement with Haseko to halt the bulldozing of sites in area 3215. “We … decry this desecration of Hawaiian history, culture and religion and call for the protection of religious and historical sites at One‘ula, so that future generations may rekindle their connections to this land and learn from the works of their ancestors,” wrote the Association of Hawaiian Evangelical Churches, representing 18 Hawaiian churches, and Hawai‘i Ecumenical Coalition. Marion Kelly asked that all new clearing be halted until the sites could be assessed. In a March 3 letter sent to the State Historic Preservation Division, Kelly and four others asserted that the area contained significant cultural features not acknowledged in the initial report. The archaeological report lists 53 complexes in the project area. Out of the 53, just six are recommended for preservation. These include a mound of coral which the report acknowledges may be a heiau or large shrine. The other 47 complexes are judged as “significant solely for information content,” a phrase that means they can be excavated and then destroyed, as most have been already. Federal guidelines acknowledge that cultural sites “are often hard to recognize … [and that they] may not necessarily come to light through the conduct of archaeological … surveys.” The National Register-of Historic Places Bulletin 38, which directs compliance with federal guidelines, mentions that it is not uncommon for culturally-sensitive properties to come to light late in the development process, especially because sacred places are often kept secret. Bulletin 38 states that cultural experts must be brought into the property to help identify significant features. In this instance, the report prepared by Paul Rosendahl and Associates relied for its cultural background on the recollections of two elderly community members, who did not claim to have particular knowledge of ancient life in the area. Rosendahl and Associates did conduct community tours of the project area about five years ago, but only took people to one of the six areas slated for preservation and to another small group of structures near the ocean. Kauhola’s grandfather lived in Nånåkuli. Haseko only asked those living in ‘Ewa about family connections to the area. Paul Rosendahl defends his company’s archaeological interpretation of the upright stones by maintaining that they are “architectural features.” He contends that the stones set upright were parts of larger structures, which were dismantled by his workers when they originally worked on the sites. However, Rosendahl has not yet produced photographs of these earlier structures. Patterson emphasizes that this cultural oversight needs to be built into every stage of every project involving Hawaiian sites, including the critical point when a purpose or function is assigned to each feature. Jan Becket, a writer and photographer who has participated in events at the ‘Ewa Marina site, is working on a book of photographs documenting Hawaiian religious sites remaining on O‘ahu. To further complicate a politically-charged issue, the archaeological community does not agree on the definition of a Hawaiian traditional shrine. The best way for a shrine or heiau to be preserved, Kukuiokāne Heiau aside, is for it to have been included in a survey of O‘ahu done in 1930-1932 by the Bishop Museum archaeologist J. Gilbert McAllister. Without that recognition, however, identification becomes more subjective, and much more open to political and economic pressure. Marion Kelly points out that a shrine can consist of no more than a single stone, but in most cases consists of a small structure built to emphasize a prominent stone. In traditional Hawaiian cosmology, the upright stone is regarded as a home which a god can be induced to enter if worshippers conduct the proper ceremonies. The Rosendahl report on the ‘Ewa Marina site, however uses different criteria to define a religious feature: It may have taken a “great deal of time and effort to construct,” may contain ceremonial artifacts and may not have dense concentrations of food remains. The first definition underscores the importance of upright stones, and allows for family shrines, while the second appears to recognize only larger structures used by an entire community or by the ali‘i.